The European Parliament and Council today reached a provisional agreement on a key legislative proposal for implementing the EU's 2030 climate objectives – on accounting of emissions from land use, land use change and forestry (LULUCF). They form part of the EU's policy to drive Europe's transition to a modern and clean economy. A robust climate policy framework is a key element of the EU's Energy Union and a successful transition to a modern and clean economy. This is a necessary shift that will require a contribution from all sectors of the economy. Incentives for climate-friendly land use and forestry ensure the continued growth and sustainable productivity of our rural communities, which provide important services and economic benefit. A sustainably managed land use sector can supply renewable energy and materials, ensuring that the EU remains a world leader in these markets. Welcoming the political agreements, Energy Union Vice-President Maroš Šefčovič said: "Today is yet another milestone for the European Union in its job to deliver on its Paris Agreement commitments. Today's agreement recognising the role of land and forests in mitigating climate change puts the European Union firmly on track. Climate action must outpace climate change and we are once again setting a positive precedent that others beyond Europe can follow." Commissioner for Climate Action and Energy Miguel Arias Cañete added: "After long and complex negotiations, we have found an agreement to include emissions and removals from land use, land use-change and forests in our collective efforts towards the 2030 objectives and in line with our commitment under the Paris Agreement. This is yet another example of Europe's determination to turn the Paris Agreement into a reality, through concrete policies and measures." Land use and forestry include the use of soils, trees, plants, biomass and timber, and are in a unique position to contribute to a robust climate policy. This is because the sector emits greenhouse gases but can also serve to remove CO₂ from the atmosphere. 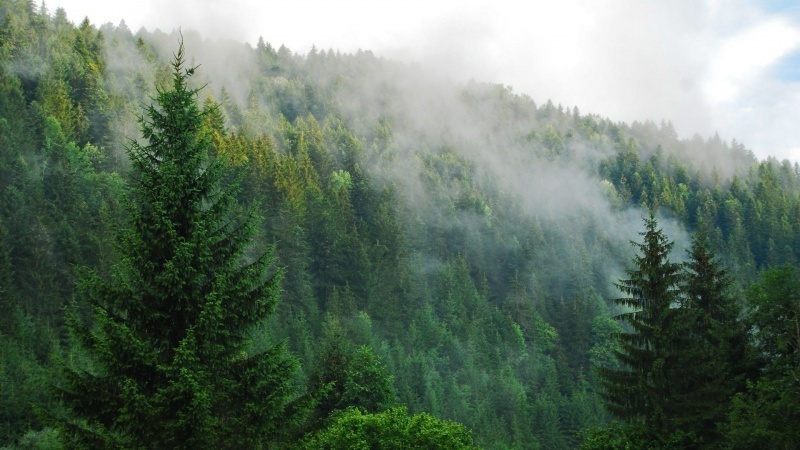 EU forests absorb the equivalent of nearly 10% of total EU greenhouse gas emissions each year. The regulation on land use, land use change and forestry will incorporate greenhouse gas emissions and removals related to agricultural land and forestry into the EU's climate framework from 2021. The new rules will enhance the role of land and forests as sinks of carbon and will incentivise their productive and sustainable use, enhancing the bio-based economy and climate-smart agriculture. The EU 2030 climate and energy framework was adopted at the October 2014 European Council. It aims to reduce the EU's greenhouse gas emissions by 40 % by 2030 compared with 1990 levels. This will be achieved by reducing ETS sector emissions by 43 % and those of non-ETS sectors by 30 % compared with the 2005 baseline level. The proposal for LULUCF was presented by the Commission on 20 July 2016 as part of the "Driving Europe's transition to a low-carbon economy" package. It set clear and fair guiding principles to Member States to prepare for the future and keep Europe competitive. This is part and parcel of the Energy Union and a forward-looking Climate Change policy. EU greenhouse gas emissions and removals from land use, land-use change and forestry in the 2030 climate and energy framework, covering the 2021-2030 period, had not been previously included in the EU effort to fight greenhouse gas emissions. As part of the July 2016 the Commission also proposed binding greenhouse gas emission reductions for Member States for the 2021-2030 period (Effort Sharing Regulation). The EU emissions trading system (ETS) reform for 2021-2030 was proposed in July 2015 and has already been politically agreed by the co-legislators. A balanced package of flexibilities, to cope with the large variety of national circumstances. Most notably, flexibility has been introduced by the Parliament and the Council on the accounting of forests for Member States where these represent an important carbon sink. To ensure that the integrity of the non-ETS sector target of at least 30% emission reductions is upheld, this 'Managed Forest Land' flexibility mechanism will only be activated if the EU collectively meets the 'no-debit' rule. The provisional agreement (reached in 'trilogue' negotiations between the Parliament, Council and Commission) must now be formally approved by the European Parliament and Council of Ministers.